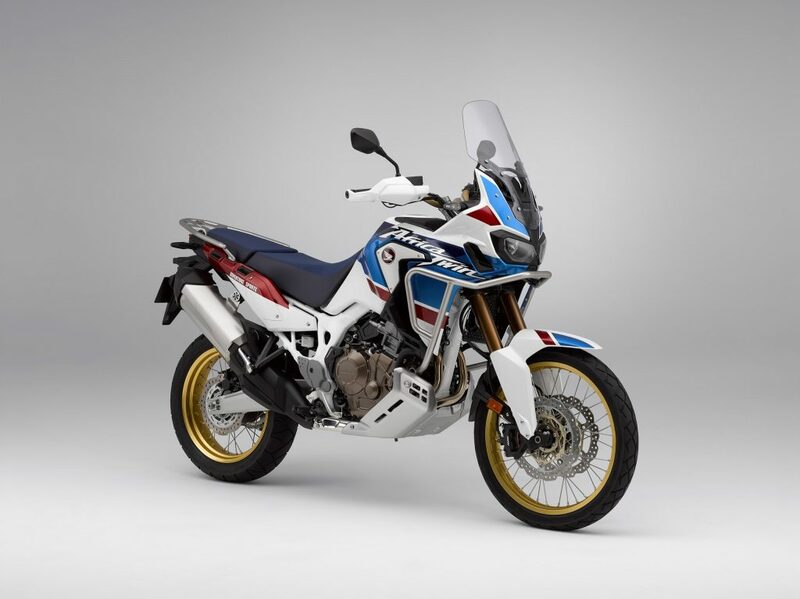 The 2019 Honda Africa Twin ‘Adventure Sports’ has hit showroom floors across Australia in a brand new colour – Digital Silver Metallic. Honda’s ultimate adventure machine took out ‘Adventure Touring bike of the year and now the addition of a new exciting colour provides more choice, alongside the continuing Pearl Glare White (Tri-Colour) and the option of either Manual or DCT. The Africa Twin ‘Adventure Sports’ Manual, (CRF1000AL2) is available for an MLP of $19,499 and the DCT, (CRF1000DL2) is available for $19,999 MLP. The ‘Adventure Sports’ models are designed to offer long-distance riders an elevated adventure touring experience. Compared to the standard Africa Twin, the ‘Adventure Sports’ is obviously taller, with a flatter seat profile and more upright riding position, the fairing and screen provide extended wind protection and a large sump guard and side pipe fully protect the machine. The fuel tank is also 5.4 litres bigger than the standard Africa Twin and suspension travel is longer. The four-valve 998cc parallel twin Unicam engine is compact, thanks to clever packaging such as housing the water pump within the clutch casing and using the engine’s balancer shafts to also drive water and oil pumps. As a result, longitudinally, it is the same length as Honda’s popular 500cc engine. Both ‘Adventure Sports’ models offer Throttle-By-Wire with three riding modes plus a User mode, expanded Honda Selectable Torque Control parameters. The extra-large skid plate and protective cowl bar plus stainless steel spokes offer durability and the addition of heated grips and an AC charging socket add comfort and convenience. Dual LED headlights maintain the original Africa Twin’s presence and the seat height adjusts 20mm from the 900mm to 920mm (both respectively 50mm higher than the standard model).